The ultimate goals of our club is to explore the origin of life and consciousness by studying the development and behavior of C. elegans. Our current activities consist of the following components. 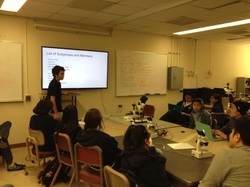 At the beginning of each quarter, new students are trained by senior students to learn basic principle of microscopes, video recording and data analysis of moving C. elegans. Every week, senior students are giving presentation on our research activities..
Prof. Arisaka is giving a lecture at one of the meetings to describe our scientific goals. 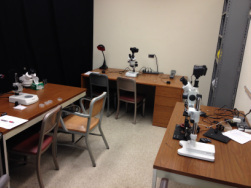 We have set up all kinds of external physical stimulation systems to investigate sensitivities of C. elegans for any subtle environmental changes. 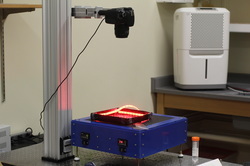 Sensitivity of C. elegans for UV and blue lights are being studied, by changing wavelength and color of lasers. 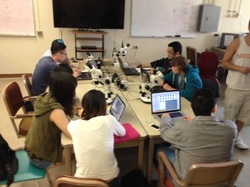 Sensitivity of C. elegans for E-field and Na+ ions are being studied, by changing wavelength and color of lasers. 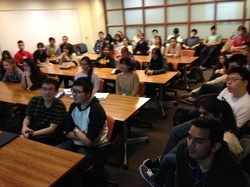 Sensitivity of C. elegans for B-field was reported at 2013 International Conference of C. elegans at UCLA. We are currently investing it. C. elegans is extremely sensitive to temperature, and it can even memorialize the temperature associated with foods. We are investigating learning and memory of C. elegans, using temperature gradient. 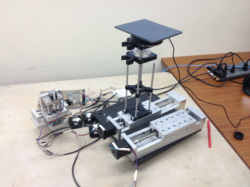 ﻿We are setting up a motorized stage to stimulate C. elegance by acceleration equivalent up to 10 G of gravitational force. We are studying swimming behavior of C. elegans, using a small cuvette with different viscosity. 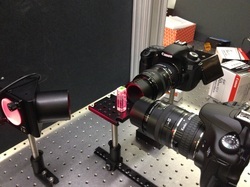 A cuvette with C. elegans is viewed by two cameras from different directions for 3D recording. Our ultimate goal is to observe dynamical activities of all 302 neurons, while E. elegans is freely behaving under various external stimulations mentioned above. 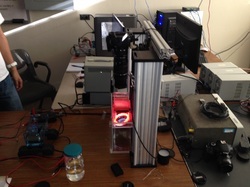 We are currently developing three different types of custom made high-speed 3D microscopes. 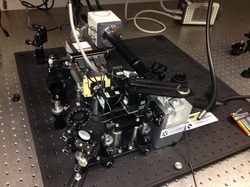 For GFP and GCaMP based fluorescence observation of neurons, we have developed a custom made wide-fied microscope. 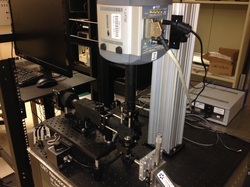 It is being modified to a high-speed line confocal microscope. 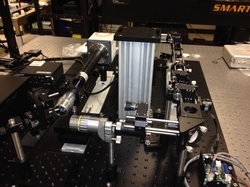 This is our first sheet illumination microscope, based on the OpenSPIM. 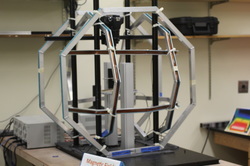 It has been constructed in our lab, and installed at CNSI as a user facility for our campus-wide collaborators. We are developing more advance sheer illumination microscope, based on the Bessel Beam for deeper penetration with better 3D resolution.